I’m on my last stripe for my sisters Op Art baby blanket. The very last stripe, I kind of think I can get there now. 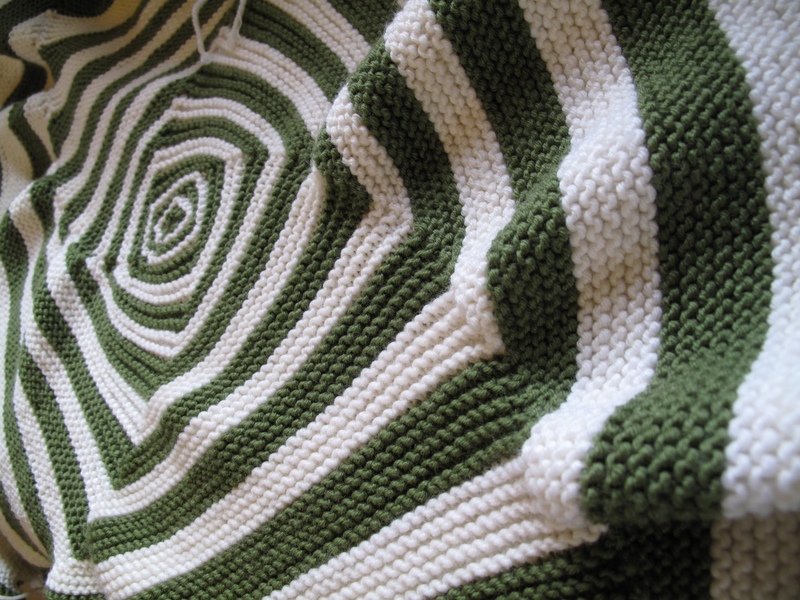 I have loved knitting the Op Art blanket again (the first one was for my sister-in-laws baby), but I won’t lie to you, I wish it had gone faster. The very nature of the illusion, beginning in the centre, the rapid growth and then nothing… just the constant knitting and something that doesn’t look bigger than a hand towel! So here we are on the long weekend and it’s still not finished, I was hoping to cast on ‘Golden Wheat’ perhaps today. It would have been a nice little reward for a job well done. But alas I’m still defiant, the blanket must be done first! 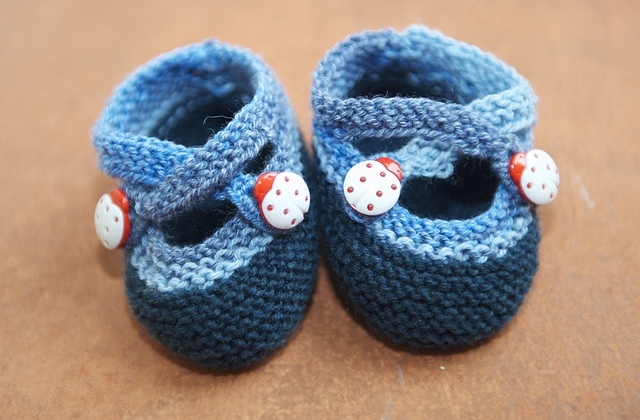 The baby shower was yesterday, a month early; I never intended to have the blanket ready this early, so instead I gifted some bootees I made some time ago. Saartje’s with ladybird closures. They were received with squeals of delight, I was very pleased and relieved with that. The feeling I got from the room of 30 or so women, was that my sis would be having a boy. I have no idea how they’ve come to that conclusion, although there were many different theories circulating. My sisters husband is a mad Yoda fan, so at some point I may have to knit a baby a Yoda wrap, and my fav umbilical hat. If my knitting dreams catch up with reality that is. Well Done! You’re nearly there! It’s looking great! I thought the Yoda wrap would have Yoda ears, ha!